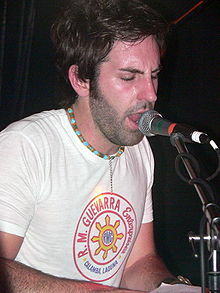 Joshua Bishop "Josh" Kelley Sr. (born January 30, 1980) is an American singer-songwriter and actor. Kelley has recorded for Hollywood Records, Threshold Records and DNK Records as a pop rock artist, and has had four hit singles on the Hot Adult Top 40 Tracks chart. His songs "Amazing" and "Only You" made top ten on that chart. Kelley was born in Augusta, Georgia, the son of Gayle and Dr. John W. Kelley, a cardiologist. Kelley began his musical career at the age of 11. His younger brother, Charles Kelley, is also a musician and singer in the country trio Lady Antebellum. Kelley started at 11 with his guitar. While he was a teenager, he and his brother Charles formed a band called Inside Blue. By the time he was 14, the band released a CD with five songs on it, which led to a meeting with James Brown. Kelley played the guitar in the high school jazz band alongside his brother Charles (drums) and Dave Haywood (guitar) from Lady Antebellum. Kelley attended the University of Mississippi in Oxford, Mississippi, and is a member of the Kappa Sigma Fraternity. Kelley released his independent album, Changing Faces, in 2001 and signed with Hollywood Records in 2002. Working with John Alagia as his producer, Kelley released the album, For the Ride Home, on June 3, 2003. The album featured his hit song "Amazing," which most people know him by. He also made an appearance at the Bonnaroo Music Festival in 2003. Even though Kelley has stated that the lyrics from his song "Angeles" were fabricated, he moved to Los Angeles from Georgia and recorded the majority of his second album, Almost Honest, in the studio of his home. Almost Honest was released on August 23, 2005, and featured the hit single, "Only You." After asking to be released from his contract with Hollywood Records, Kelley released his third album, Just Say The Word under his own label named Threshold. The digital version of the album was released through iTunes on June 6, 2006, while the physical album was released in stores in the United States on July 25, 2006. "The Pop Game" was the first single from his self-produced album and was accompanied by a cartoon video. Kelley's next album, Special Company, was released in the United States on January 14, 2008. His label, Threshold, was renamed DNK Records so as to avoid confusion with another record label by the same name. Kelley also released a digital album that summer titled Backwoods on July 7. Later that year, Kelley released his latest album, To Remember, on September 23 exclusively through Target stores. The title track was also included on the AT&T Team USA Soundtrack. Kelley has toured with many artists including Rod Stewart, Third Eye Blind, Toby Lightman, Counting Crows, and Ryan Cabrera. Kelley remains a supporter of file sharing applications for independent artists who have a difficult time receiving an audience. In fact, Kelley was "found" after targeting Eric Clinger at Hollywood Records with private spam, "If you like James Taylor, Try Josh Kelley," messages using the Napster program. In November 2009, Kelley signed with MCA Nashville and began recording his first country album in 2010. The album's first single, "Georgia Clay", was released to country radio in August 2010. The single became a Top 20 hit on the Hot Country Songs chart. The album, also titled Georgia Clay, was released in March 2011. In March 2016, he announced on Twitter his new album New Lane Road will be released. Kelley majored in Art at the University of Mississippi and was a member of the Kappa Sigma Fraternity. He is an avid golfer and attended college on a golf scholarship. Kelley met actress Katherine Heigl in spring 2005 when she appeared in his music video Only You. One year later in June 2006 they became engaged. For Heigl he wrote the song Hey Katie. The Heigl-Kelley wedding took place on December 23, 2007 at the Stein Eriksen Lodge in Park City, Utah. Heigl's Grey's Anatomy co-stars T.R. Knight, Sandra Oh, Ellen Pompeo and Justin Chambers attended the ceremony, as well as Grey's Anatomy spinoff series Private Practice star Kate Walsh. The ceremony was officiated by Unitarian minister Tom Goldsmith. Heigl walked down the aisle to an acoustic song written by Kelley and performed by a cello and guitar players. The couple wrote their own vows. The bridesmaids wore red. During a taping of Live With Regis and Kelly, Heigl stated that she and Kelley chose not to live together before they were married, saying, "I think I just wanted to save something for the actual marriage... I wanted there to be something to make the actual marriage different than the dating or the courtship." In June 2016, the couple announced that they are expecting their first biological child, a son, due in January 2017. In 2009, the couple adopted a South Korean baby girl, naming her Nancy Leigh, after Heigl's mother and her adopted, Korean-born older sister, respectively. Nancy Leigh's nickname is Naleigh. Nancy Leigh was born with a congenital heart defect that was repaired with open heart surgery before she left South Korea. Kelley and Heigl adopted a second daughter, Adalaide Marie Hope, in April 2012. In addition to their two daughters, Josh Kelley and Katherine Heigl welcomed a baby boy, Joshua Bishop Kelley Jr. on Dec 20, 2016. ^ "Joshua Bishop Kelley : For the Ride Home". CMT. 2003-06-03. Retrieved 2012-03-28. ^ a b Fuoco, Christina. "Josh Kelley Biography". AllMusic.com. Retrieved June 23, 2016. ^ Rhodes, Don. "Augusta musicians finding fame with Lady Antebellum | The Augusta Chronicle". Chronicle.augusta.com. Retrieved 2012-03-28. ^ "Grey's Anatomy Star Katherine Heigl Engaged". People. June 16, 2006. Retrieved September 17, 2007. ^ "Katherine Heigl live with Regis and Kelly — part 1". YouTube. March 24, 2008. Retrieved August 14, 2009. ^ Chen, Joyce (June 23, 2016) "Katherine Heigl Shares Sonogram of Unborn Son". . Usmagazine.com. Retrieved June 23, 2016. ^ Fleeman, Mike; Ingrassia, Lisa (September 9, 2009). "Katherine Heigl & Husband Adopting a Girl". people.com. ^ Ingrassia, Lisa (September 5, 2009). "Katherine Heigl's Baby Joy". People. 75 (14): 73. ^ "Katherine Heigl: Naleigh '100 Percent Fine' After Open Heart Surgery". People.com. 2010-05-20. Retrieved 2012-04-25. ^ "Katherine Heigl, Josh Kelley Adopt Second Daughter!". Us Weekly. April 25, 2012. Retrieved April 25, 2012. ^ "Katherine Heigl and Josh Kelley Name Daughter Adalaide Marie Hope". People. May 15, 2012. Retrieved May 15, 2012. ^ "Josh Kelley Album & Song Chart History: Billboard 200". Billboard. Retrieved August 21, 2010. ^ "Josh Kelley Album & Song Chart History: Heatseekers Albums". Billboard. Retrieved August 21, 2010. ^ "Josh Kelley Album & Song Chart History: Independent Albums". Billboard. Retrieved August 21, 2010. ^ "Josh Kelley Album & Song Chart History: Country Albums". Billboard. Retrieved April 12, 2011. ^ "Josh Kelley Album & Song Chart History: Folk Albums". Billboard. Retrieved May 3, 2016. ^ Allers, Hannahlee (March 25, 2016). "Josh Kelley Set to Release First New Album in Five Years". The Boot. Retrieved March 25, 2016. ^ "Josh Kelley Album & Song Chart History: Hot 100". Billboard. Retrieved August 21, 2010. ^ "Josh Kelley Album & Song Chart History: Adult Contemporary". Billboard. Retrieved August 21, 2010. ^ "Josh Kelley Album & Song Chart History: Adult Pop Songs". Billboard. Retrieved August 21, 2010. ^ "Georgia Clay - Josh Kelley". Billboard. Retrieved September 8, 2010. ^ "It's Your Move (Official Video) – Josh Kelley". Vevo. Retrieved March 18, 2016.